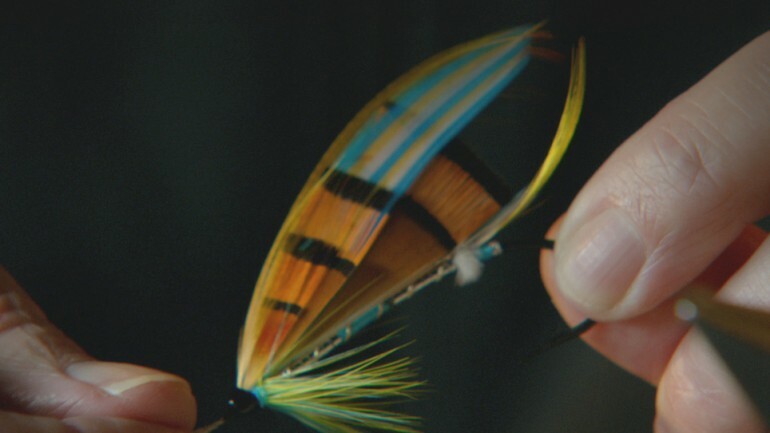 FILMMAKER IN ATTENDANCE – In a small cottage on the northern coast of Scotland, Megan Boyd twirled tiny bits of feather, fur, silver and gold into fishing flies that were at once miniature works of art — and absolutely lethal. Wherever men and women cast their lines for the mighty Atlantic Salmon her name is whispered in mythic reverence, and stories about her surface and swirl like fairy tales. KISS THE WATER moves seamlessly between stunning documentary and sublime hand-painted animation to create a cinematic experience that is every bit as sensual, hypnotic and haunting as Megan Boyd’s miniature masterpieces.